Harbhajan Singh has always had the reputation of creating trends on social media and this post has definitely done that once again. Just a few hours back, Harbhajan Singh posted a tweet that left everyone guessing. 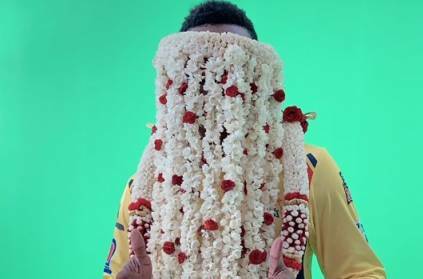 His tweet quoting ‘Any Guess who is this getting married?’ with the persons face covered with flowers, had a lot of inquisitive fans commenting who they thought was the person. There were a lot of fans guessing between DJ Bravo and Lungi Ngidi. As the video was going viral and lots of fans getting curious, a small video came out, revealing the person and it was DJ BRAVO!!! சானியாவின் சகோதரிக்கும் இந்திய கிரிக்கெட் அணியின் முன்னாள் கேப்டன் மகனுக்கும் திருமணமா? .. வெளியான தகவல்! This page contains news relating to various facts and events. The views are generally about current affiars and general topics in diversified areas such as political, international, national, and regional issues, sports, health, travel, lifestyle, technology and business. People having similar interets on the above topics will find this page useful. Harbhajan’s tweet about about someone from CSK camp getting married | Sports News.